For scholars, researchers, and fans of architecture and design, a new research guide is now available that provides an introduction to and strategies for investigating the Getty’s substantial archival and secondary holdings on this topic. The architecture and design collections include a vast array of diverse resources revealing the complex dimensions of the design process, from initial sketches and study models to evocative final renderings, detailed construction drawings, and published promotional photographs. The collection’s extensive archival materials include letters, notebooks, audiovisual materials, and ephemera that outline the evolving themes and issues of architectural discourse. International holdings date from 1500 to the present, with concentrations in 19th- and 20th-century avant-garde movements and mid-20th-century modernism. Desert Hot Springs Motel, Palm Springs. John Lautner, architect. Photo: Julius Shulman, 1949. Julius Shulman Photography Archive. The Getty Research Institute, 2004.R.10. © J. Paul Getty Trust. Highlights of the collection include the archives of progressive Southern California architects Frank Gehry, Pierre Koenig, John Lautner, Ray Kappe, Frank Israel, and William Krisel; international projects by Coop Himmelb(l)au, Peter Eisenman, Yona Friedman, Zaha Hadid, Philip Johnson, Daniel Libeskind, Aldo Rossi, Bernard Rudofsky, Lebbeus Woods, and Frank Lloyd Wright; the influential architectural photography of Julius Shulman and Lucien Hervé; and the papers of architecture critics Reyner Banham, Ada Louise Huxtable, and architectural historian Nikolaus Pevsner. The research guide was created with the aim of assembling these resources in one place, making the breadth and depth of the holdings in these subject areas easier to grasp and research simpler to undertake. The research guide is a work in progress. Though it is not designed to be comprehensive, an attempt has been made to include all major archival collections as well as individual materials connected to important figures. • Welcome & Getting Started serves as an introduction to our library, our holdings, as well as key points regarding access. • Papers of Architects & Designers is an alphabetical list of architects and designers represented in our archival collections, complete with holdings summaries and links to the Primo records. • Papers of Architectural Critics & Historians is an alphabetical list of architectural critics and historians represented in our archival collections, complete with holdings summaries and links to the Primo records. • Architectural Photography Archives is an alphabetical list of photographers of the built environment represented in our archival collections, complete with holdings summaries and links to the Primo records. • Notable Southern California Modernism Collections gathers the Getty’s notable holdings in Southern California Modernism into one page, with links to both the Primo records and the full Finding Aids. 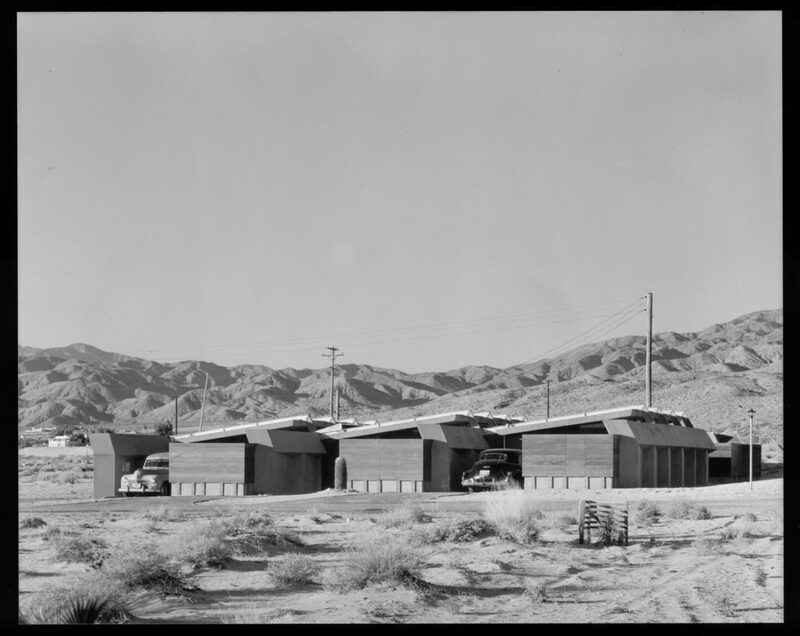 • California Architecture Collections Search Portal is a custom Online Archive of California search that only returns records with the terms “architect*” (architecture, architect, architectural, etc.) and “ca*” (California, Calif., CA, etc.) in subject headings, thereby streamlining the search process and bringing back only results that are highly relevant to the architects and architecture of California. • Bauhaus Resources gathers the Getty’s important Bauhaus holdings into one page, complete with holdings summaries and links to the Primo records. As 2019 marks the centenary of the founding of the school, these resources are sure to be in great demand. • Other Collections of Note include papers representing significant schools, movements, meetings, exhibitions, and competitions. • Related Past Exhibitions provides links to past Getty exhibitions that focused on architecture and design themes. • Researching an Architect and Researching a Building contain links to online guides, directories, encyclopedias, and databases that can be accessed from anywhere without a subscription as well as links to key Getty subscription databases that are particularly useful for those researching the built environment. We hope you will make use of the guide and we welcome suggestions for how we can make it better.